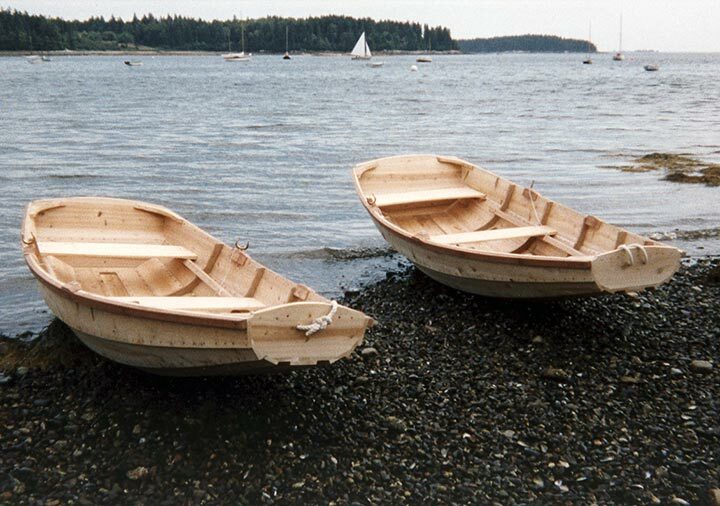 Dean Whitlock writes, “These two prams, 11' long on the left and 13' long on the right, were built to the same pattern by Bob Elliott’s class, ‘Building the Norwegian Pram,’ at WoodenBoat School in August 2001. The eight members of the class split into two groups, each group built one boat under Bob’s excellent tutelage in just one week—we started with rough planks on Monday morning and launched our prams on Saturday afternoon.” Dean and one other class member each won a boat in the class raffle. Contact Dean at boatman@deanwhitlock.com or The WoodenBoat School at school@woodenboat.com.